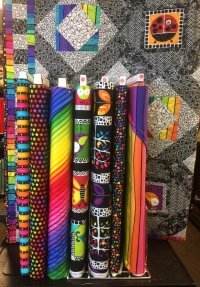 Prairie Flower Quilt Co. will be having an In-Store SALE during the Prairie Stars Quilt Shop Hop. If you have questions contact a participating shop for more information or visit http://www.prairiestarsquiltshophop.com. 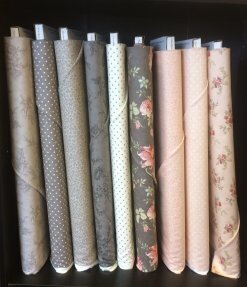 We always have the latest quilt fabrics, quilt kits, quilt patterns and fabric collections! We recently received Poetry by Moda (left), Sweet Treats by Andover Fabrics (middle), and Poppy Mae by Moda (right). Be sure to come check out our new products!